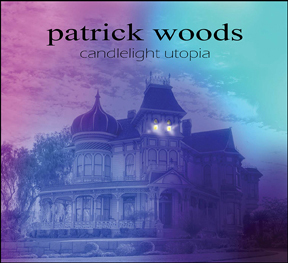 Patrick's latest album, CANDLELIGHT UTOPIA is now availible for purchase at bandcamp, and CD Baby. There will be more digital distribution in the future. In the meantime, you can order CD's through the site, or at live performances. Check out Patrick's latest interview and album review here! At Patrick's live shows, he still has a limited number of copies of the POWER FIELDS album. From now on, this particular album will be included for free when you purchase any other CDs. Some of the songs on it have since been re-recorded and updated to a new guitar sound. There will be no more copies of this album once it runs out! Here is a new video of Patrick's song "Crossing the Styx" on YouTube. Click here to view his channel, and please subscribe if you haven't already!